In a move that threatens to ratchet up the already tense trade negotiations between Washington and Beijing, a US court has convicted a Chinese company guilty for stealing proprietary technology from a US firm. On Wednesday, a federal jury in Madison, Wisconsin, found China’s wind turbine maker Sinovel Wind Group Co. guilty of stealing software code from American Superconductor Corp (AMSC) as part of an ongoing investigation into Chinese companies’ alleged involvement in infringement of intellectual property and corporate espionage. The Massachusetts-based AMSC sought more than $1.2 billion in damages from Sinovel, accusing the Beijing-based firm of putting the stolen source code in more than 1,000 turbines, Bloomberg reported. The verdict is largely seen as America’s first serious blow to China’s commercial interests in the world. The conviction sent Sinovel’s stock down by almost 4 percent in Thursday’s trading. In an interview with Sputnik, Wang Zhiming, director of the China Institute of Foreign Trade and Economy’s Center of Globalization and Modernization, said the whole incident boils down to an attempt to intimidate or blackmail China. “I can’t say this is the start of a war, and it’s hard to say what the Americans are going to do next. Still, this is already an attempt to intimidate [China]. Conflicts between China and the US over intellectual property have been going on for quite some time now, especially over the past decade. Maybe this is an attempt to create a legal precedent. The verdict carries political importance for the US and China should pay attention,” Wang said. He added that the US will end up the loser in its ongoing war over intellectual property with China, but Beijing won’t escape unscathed either. “Still, if the US starts a war in earnest China has all it possibly needs to respond adequately,” Wang Zhiming noted. Mikhail Belyaev, an expert with the Institute of Stock Market and Management, believes that Sinovel’s conviction in the US is only the beginning of a lengthy investigation. “This is a continuation of the war the Americans have been waging, openly or covertly, against Chinese producers and the Chinese economy in general. This indicates that, far from abating, the trade war is gaining momentum affecting ever more Chinese-made products. 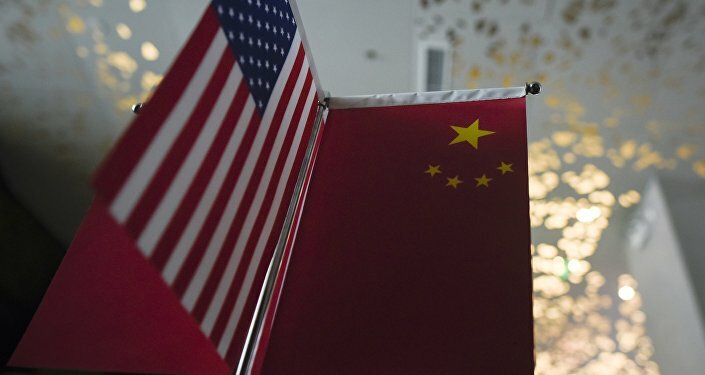 What the Americans are trying to do is to keep Chinese goods away from the US market and to deny Chinese companies access to modern technologies In fact, they are simply trying to nip their Chinese rivals in the bud,” Belyaev concluded. US-China 'Trade War': Is It Just a Diversion Tactic for Trump Voters?